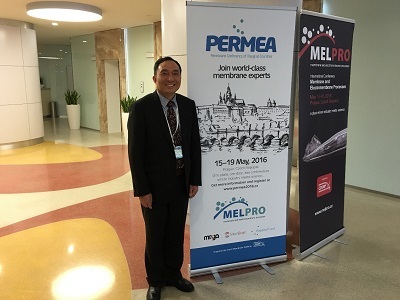 On May 18, 2016, Professor Wanqin Jin presented his plenary lecture (Title: Organic-Inorganic Composite Membranes: Fundamental Study and Engineering Application) at the International Conference on Membrane Process (PERMEA&MELPRO 2016), which was held from 15-19 May,2016, Prague, Czech Republic. 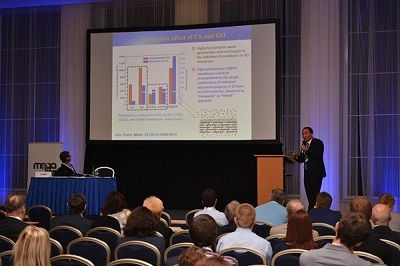 In his talk, Prof. Jin reviewed recent progresses in organic-inorganic composite membranes develped in his group. He presented an overview of design, preparation and application of the organic-inorganic composite membranes used for molecular separation, including ceramic-supported polymer composite membranes, mixed matrix membranes, and graphene-based membranes. He also showed some typical examples of the membranes applied in fields such as bio-fuels production, volatile organic compounds (VOCs) recovery, and so on. In addition, Prof. Xuehong Gu and A/Prof. 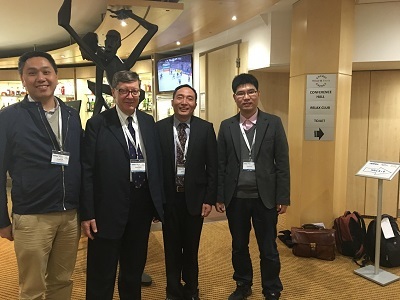 Zhaoliang Cui also participated in the conference, and Prof. Gu gave an invited talk on zeolite membranes and Dr Cui gave an oral presentation on a modified PVDF membrane for water treatment.